Start your morning off the right way - with yoga in the park! 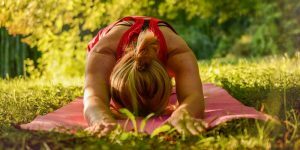 Join Tenleytown Main Street at Fessenden Park for a morning yoga class offered by Tenleytown's own CorePower Yoga. Unroll your yoga mat for an invigorating full-body flow where you’ll explore the yoga postures and fundamental principles of Vinyasa yoga. Our all levels Continue Reading..